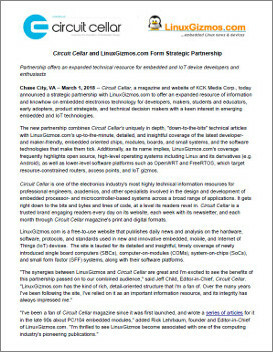 LinuxGizmos.com, a website of the DeviceGuru Blog Network, has joined forces with KCK Media, publisher of Circuit Cellar magazine. The alliance will expand the site’s coverage of the rapidly evolving hardware and software technologies used in new and emerging embedded and IoT devices, while continuing its unique focus on the benefits of open source software and standards. Thirteen years later, after Quinstreet acquired LinuxDevices (aka LinuxForDevices) from then-owner Ziff Davis enterprise, LinuxDevices came to an untimely end in February 2012. A year later, in response to encouragement from members of the embedded Linux community, I launched LinuxGizmos.com with the able assistance of former LinuxDevices Editor Eric Brown. Since then, this site has helped quench the thirst of countless thousands of makers, developers, and early adopters for a steady stream of embedded Linux-related news and information. Now, after five years of solid success, we’re thrilled to announce that we’ve formed a strategic partnership with KCK Media, publisher of the popular Circuit Cellar magazine that was originated by Steve Ciarcia of Byte magazine fame. 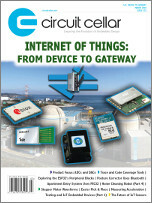 I’ve long been a fan of Circuit Cellar, and even wrote a series of articles about PC/104 technology for it in the late 90s. 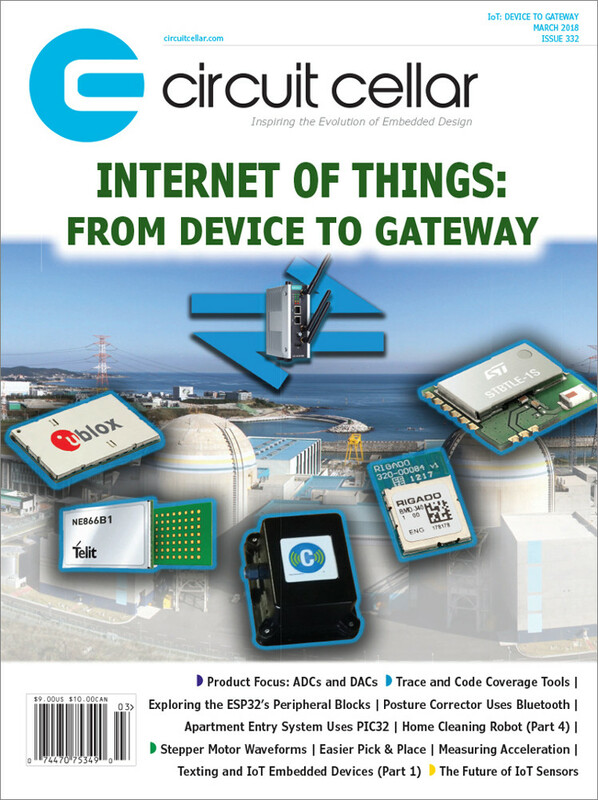 So it’s especially exciting to have LinuxGizmos become associated with one of the computing industry’s pioneering publications! With that introduction, I invite you to read the full announcement by clicking the images below. Thanks, as always, for visiting LinuxGizmos.com!